Greek Revival and Italianate styles, transitional, Gable end to street, egg and dart detail on porch roofs. Double corbel brackets on eaves. 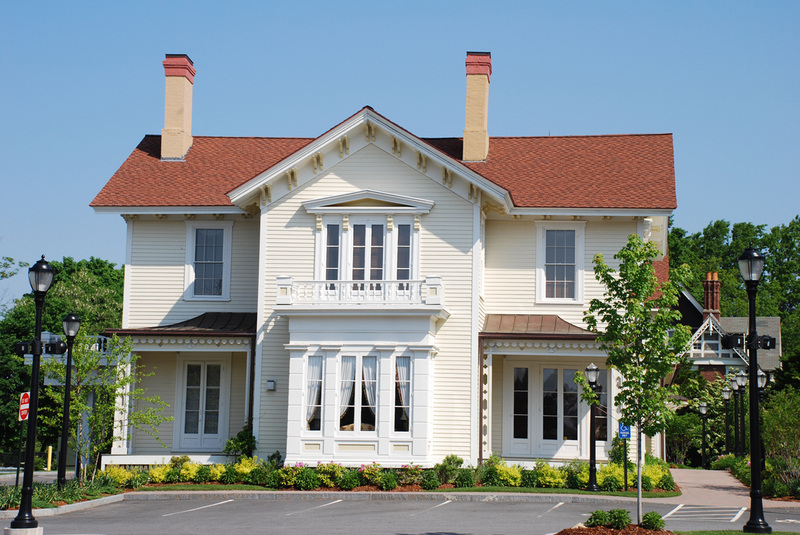 Triangle pediment over second story center window, decorative fret work on porch posts. Interior woodwork door casings were Greek Revival. 8 High Street – Benjamin H. Punchard - Barnard House – “Punchard Elms” later known as "Barnard Elms"
Benjamin Hanover Punchard then married on October14, 1829 to Martha L. Marland, daughter of manufacturer Abraham and Mary (Sykes) Marland and sister of John Marland. Benjamin was born on Dec. 16, 1799 in Salem, MA the son of sea Captain William Punchard and Sarah Hanover. Benjamin worked as a bookkeeper and also a clerk for a wholesale West India firm before coming to Andover with his mother in 1827 at the age of 27. They first lived on High Street in the Haywood home. Benjamin opened a dry goods business in 1829 with his brother-in-law and partner John Derby at the corner of Main St. and Post Office Ave. Punchard later sold out to Derby in 1834. He became a stockholder and trustee in the newly formed Andover Savings Bank in 1834. Punchard helped in establishing the Episcopal Church in Andover in 1837 and sadly his mother was the first recorded funeral held from that edifice. Benjamin became the first treasurer of the Marland Manufacturing Company after his marriage to Martha. For nineteen years the Punchard’s resided in the former Pearson house. Unable to conceive children, Benjamin & Martha adopted daughters, Sarah Elizabeth Gleason baptized on May 30, 1841 and Ellen b. Oct. 17, 1843 and baptized on January 2, 1848. In the will of Martha Punchard, a third adopted son Amasa Clark is mentioned in the deed of the property. In 1848 Benjamin builds a new mansion house. The former Pearson home, a handsome Federal style building in its own right, was moved off the site and relocated to #33 High Street. Recent reconstruction of the house, during renovations by the Enterprise Bank in 2007, revealed several changes to the interior of the home. A rear wing addition, which was razed, is now thought to have been the original rear wing of the Pearson house. The interior style of the wing was of an earlier period as were fireplace surrounds. Punchard’s new mansion was probably attached to the remaining ell. The Punchard mansion originally had two entrances; the main entrance was located on the west side with a view of the West Parish and opened into a grand foyer. A secondary entrance was on the east side facing High Street. The driveway extended up from Elm Square along the west boundary of the property and may have included a port-cochere. A tower was also incorporated into the rear ell which afforded 360° degree views of Andover and north to Lawrence and beyond. Benjamin Punchard’s health did not afford him a long stay in his new home as he died April 4, 1850 just two years after its completion. Punchard’s Will provided for his family but he also gave $50,000 to the town of Andover to build a Free High School for the youth of community. It was to be non-sectarian, free to all who qualified, built in the South Parish and the trustees were to decide if it would become Andover’s first coeducational high school. The Will of Mrs. Punchard provided for her three adopted children including use of the house should they choose to remain for up to ten years. 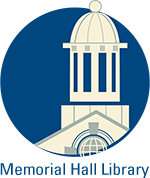 Edward Taylor and George B. Jewett were trustees and guardians. Sarah E. had married a Mr. Baldwin, and Ellen had been institutionalized in the McLean Somerville Asylum for insanity. Feb. 19, 1892 AT - The remains of Ellen Punchard, daughter of the late Benjamin H. Punchard will be brought here for burial tomorrow noon. Miss Punchard died at the Somerville Asylum this week. Andover Vital records list Amasa Clark b. Jan. 14, 1844, son of Dr. Francis & Sarah Fisher Clark. Sarah (Marland) Clark died of dropsy June 8, 1849 at age 32. Mrs. Clark was Martha Punchard’s sister and after the death of Dr. Clark in 1852 Martha took in her eight year old nephew. Both the Punchard and Clark families were members of the Christ Church and are interred in the Christ Church Cemetery. William Whitman and wife Jane D. purchase the Punchard house from Martha’s estate for $15,000 on Feb. 9, 1872. Whitman took a mortgage on the property from Amos A. Lawrence in the same amount and paid it off in 1874. William Whitman was b. May 9, 1842 at Round Hill, Annapolis Co., Nova Scotia. son of John & Rebecca (Cutler) Whitman. William was a wool and cotton manufacturer and is listed as treasurer in the 1880 census. He married in Boston on Jan. 19, 1865 to Jane Dole Hallet b. July 1842 in Charlestown, MA dau. of James H. & Mary Ann (Arnold) Hallet. The would have ten children: Mary Arnold b. 1865, Rebecca Cutler b. 1867-1871, Mabel Shives b. 1869, Jane "Jennie" Hallet b. 1872, William Jr. b. Jan. 28, 1874 in Andover, Eben Esmond b. Feb. 28, 1880 Andover, Jessie b. Feb. 1888, Andover, Malcolm Douglas b. 1877, and Hendrick Hallet b. 1884 in Brookline. Whitman owned the house for ten years but split his time between Andover and Cambridge, MA. Andover Advertiser Oct. 24, 1879 - "Mr. William Whitman has greatly improved his premises on Main Street opposite the compo shop. The land on the side hill has been graded and laid down to grass, a face wall built and a neat fence erected." The 1880 census list them at the Elm House across the street from the house. They would sell to Peter Dove Smith in June 1882 and moved to Brookline, MA. It is interesting to note that their daughter Jane "Jennie" would marry Franklin W. Hobbs President of the Arlington Mills and their youngest son Hendricks H. Whitman would later become President of the American Woolen Co.
August 27, 1880 AA -Peter D. Smith is about to remove his family and private personal property from Gloucester to this Town to become a permanent resident here. He will continue his present business in Gloucester until next January. July 21, 1882 AA - Peter D. Smith has moved into his residence on Elm Square, which he recently purchased of William Whitman. Peter D. Smith was the son of Peter and Esther Smith. Born in Andover on Aug. 24, 1842, he was educated in the public schools. He joined the Army in 1861, was commissioned as a corporal in Co. H First Heavy Artillery. Promoted to 2nd Lieutenancy and assigned to Company G. Peter D. was wounded at the battle of Spotsylvania, he lost two fingers. Very active in veteran organizations at the local and state levels, he served as president of the Board of Trustees of the Soldiers Home in Chelsea. He was a town selectman from 1890-1893, a member of St. Mathew’ Lodge A.F. & A.M. At the time of his death in 1910 he was President of the Smith & Dove Company, of which his father was one of the founders. Peter married Abby J. Chandler in 1867 and had three daughters; Esther W. b. Nov 8, 1870, Elizabeth M. b. Apr. 19, 1876, and Mary b. 187_. All were active members of West Parish Church and are interred at the Smith family lots at the West Parish Garden Cemetery. Peter & Abby Smith remained at the Punchard house until the death of Peter’s parents. 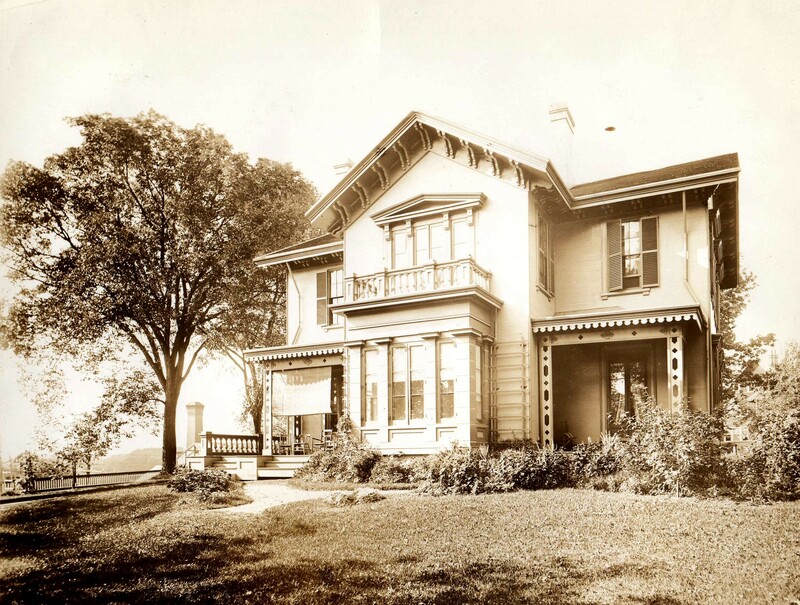 They then moved into his father’s mansion “Foster Hills” at 53 Shawsheen Road about 1890. The Elm Square mansion was purchased by Jacob Warren Barnard April 14, 1891. Jacob was born in the West Parish section of Andover on Feb. 14, 1833, son of Jacob & Hannah (Goldsmith) Barnard. Jacob W. learned the trade of cobbler and began a shoe and boot manufacturing business about 1853. Dec. 16, 1854 AA – Boot & Shoe Store – Removal – J. W. Barnard removed to the store formerly occupied by Jonathan Swift, No. 8 Main Street. Feb. 16, 1856 AA - J. W. Barnard’s - Boot & shoe business, #8 Main Street. cork soles & rubber boots. Newmarket, NH. Mr. Barnard was also the chief director of the Andover Electric Company at the time it merged with the Lawrence Gas Company. He had a keen interest in Punchard High School and established a fund for the Barnard prizes for composition in 1899. Jacob W. married Eliza Jane Foster b. 1840 and the couple had two children; son Henry Warren born Nov. 5, 1868 and daughter Gertrude who married Francis Bergstrom. Henry W. became a partner in his father’s firm and J. W. Barnard & Son was established in 1894 with Henry in general charge of the company. Jacob died in Sept. 1903 and after the death of his mother Eliza on May 10, 1918, Henry and wife Mable (Paradise) Barnard moved into the mansion house. Their home was built in 1897directly behind his parent’s home at 12 High St.
Henry and Mable had three children, Marion Paradise b. 1895, Foster Carnes b. 1896 and William Shirley b. 1901. Henry W. Barnard carried on the shoe manufacturing business which specialized in comfort shoe for women and in later years included men’s slippers. The company closed on December 20, 1931 and at that time employed fourteen workers. His two sons were also associated with the firm before establishing the real estate and insurance company. Henry W. died on November 8, 1938 and his wife Mable on May 20, 1942. The several generations of the Barnard family are interred at West Parish Garden Cemetery. The house was inherited by the Barnard family and was eventually converted into apartments in the early 1960’s with retail space on the first floors. A hair salon, video store and rug shop were some of the last businesses to occupy the space before the property was converted into banking space for the Enterprise Bank in 2006. During reconstruction all the interior walls were removed exposing visual evidence as to the original layout of the Punchard House. Two former stairways were discovered, a large window on the High Street facade which had been removed as was the original entrance on the west facade with a grand entrance hall. The main stairway to the second floor was saved and restored during reconstruction. On the green at the edge of the former Punchard property a bandstand and flag pole had been erected by the town residents for concerts and celebrations to be enjoyed in Elm Sq. September 1, 1882 AA - The band gave a fine concert at their stand in Elm Square on Friday evening. At its conclusion the members were invited to the residence of Peter D. Smith, Esq. and partook of an abundant treat of cake & ice cream. November 17, 1882 AA – Peter D. Smith has greatly improved the view from and to his residence on Elm Square, by cutting down several of the elms which have stood on the lawn. 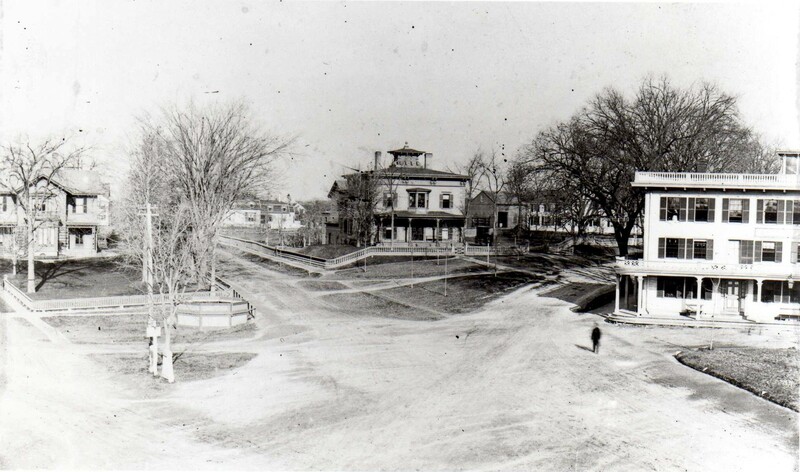 Sept. 14, 1894 AT – pg.1 Col. 5 The bandstand which has stood many years in Elm Square has been removed by J. W. Barnard. Foster C. Barnard et al. Place Andover Center - Elm Sq. 2010 Enterprise Bank in former Punchard - Barnard House.